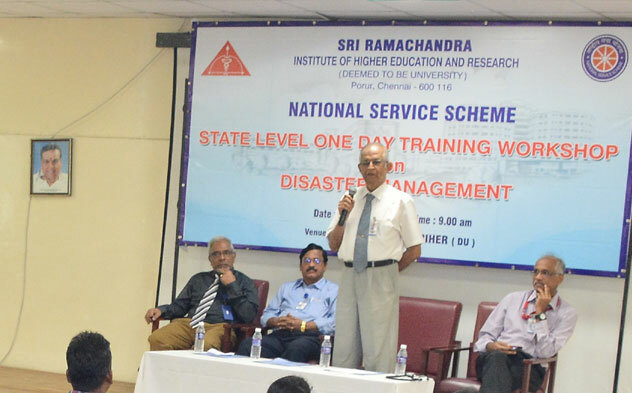 A state level Training Workshop on Disaster Management was held on 23rd November 2018. 28 higher secondary school teachers from Thiruvallur, Kanchipuram & Chennai and 25 NSS Volunteers took part in the workshop. Faculty of Physiotherapy conducted a Workshop on Exercise and Women after Childbirth on 16th November 2018. 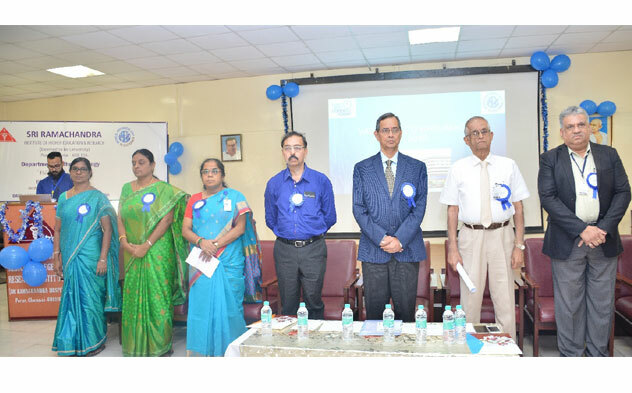 Prof. V. Mahalakshmi, PSG College of Physiotherapy, Coimbatore was the resource faculty. 29 delegates across South India attended. 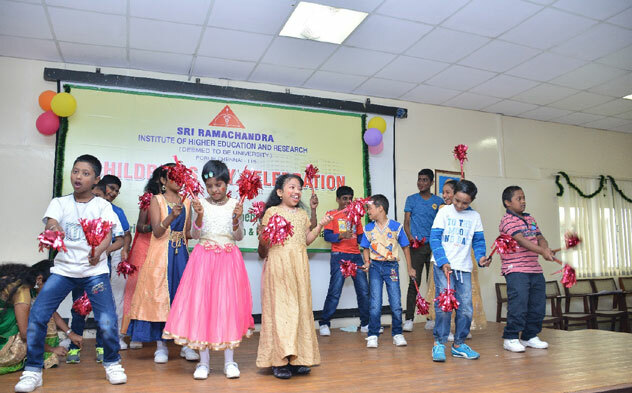 Children’s Day was celebrated at Sri Ramachandra Hospital by the Depts. of Pediatrics, Pediatric Nursing, Clinical Nutrition and Patient Guest Relations on 13th November 2018. 150 children from Vidya Sudha, MGR Janaki Deaf & Dumb School and Sathyalok School participated. 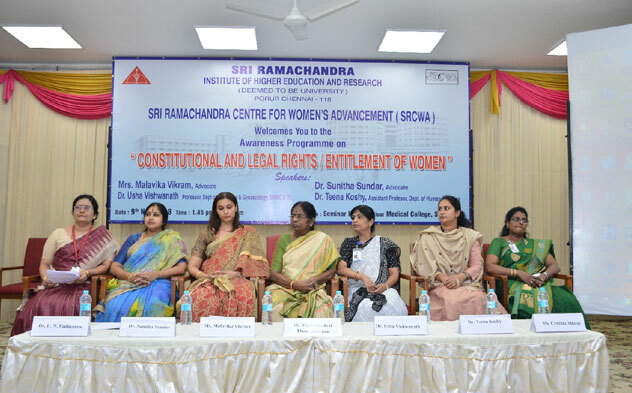 Sri Ramachandra Center for Women’s Advancement organized an Awareness Program on Constitutional and Legal Rights/Entitlement of Women on 9th November 2018 as part of the initiative by National Commission for Women to conduct the second nationwide competition. Ms. Malavika Vikram, Senior Litigator, De Penning & De Penning, Chennai, Prof. R. Sunitha Sundar, Advocate, Consultant & Arbitrator, Chennai, Prof. Usha Vishwanathan, Dept. of Gynecology & Obstetrics, SRIHER (DU) and Dr. Teena Koshy, Asst. Professor, Dept. of Genetics, SRIHER (DU) were the guest speakers. 427 students and 54 faculty & staff members attended. Dept. of SLHS observed Augmentative and Alternative Communication (AAC) Awareness Month during October 2018. 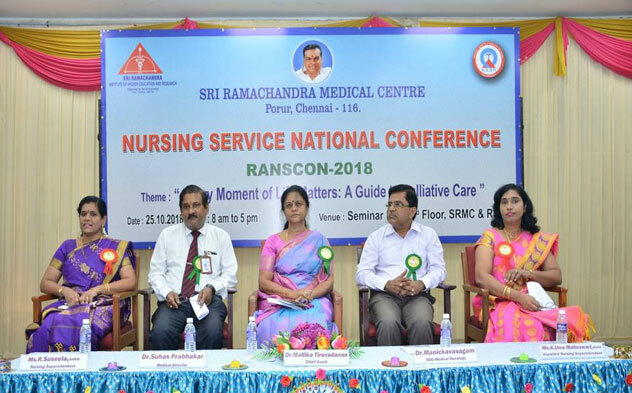 Nursing Service of SRMC conducted a National Nursing Conference on 25th October 2018 with the theme, ‘Every Moment of Life Matters: A Guide to Palliative Care’. 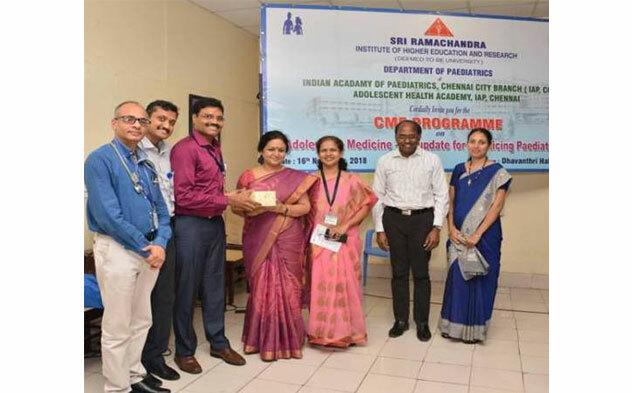 Dr. Mallika Tiruvadanan, Consultant & Physician in Palliative Medicine, Lakshmi Sundaravadanan Hospital, Chennai was the chief guest. 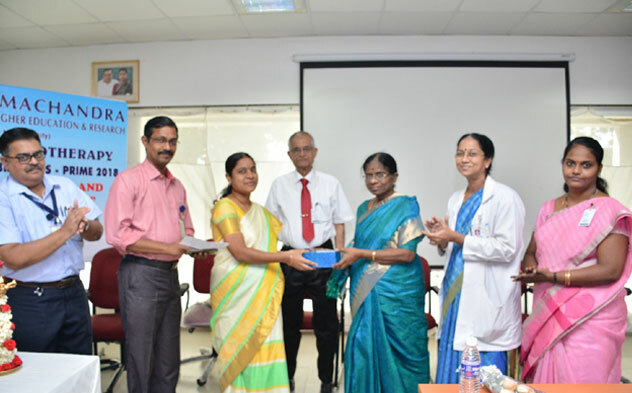 Dr. Subathra Muthukumaran, Consultant, Lakshmi Sundaravadanan Hospital, Chennai, Dr. Ganapathy Ramanan, Medical Oncologist, Apollo Cancer Hospital, Ms. Alice Stella, Staff Nurse, Govt. 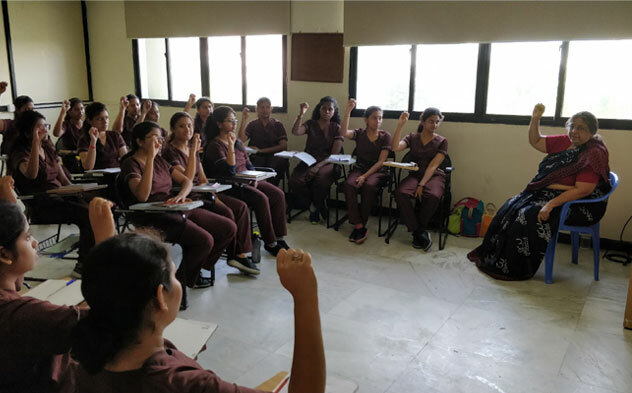 Medical College, Calicut, Ms. Shalini Abraham, General Manager in Nursing Education & Training, Yashoda Hospital, Hyderabad & Ms. Shakila Punitha Kumari, Charge Nurse, Palliative Care Unit, CMC, Vellore were the guest speakers. 322 nurses participated. Dept. 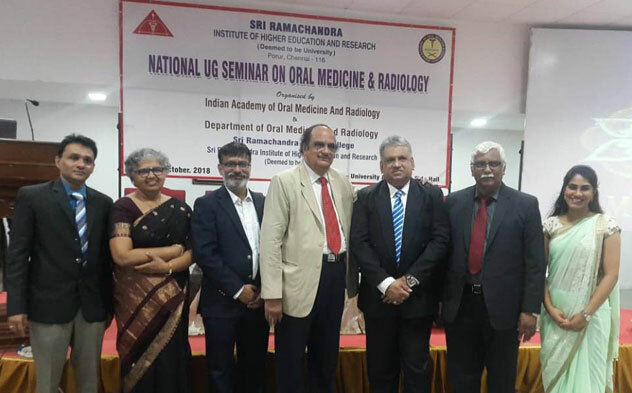 of Oral Medicine and Radiology organized a National UG Seminar on 14th October 2018. The seminar included scientific presentations, symposiums and a quiz competition. 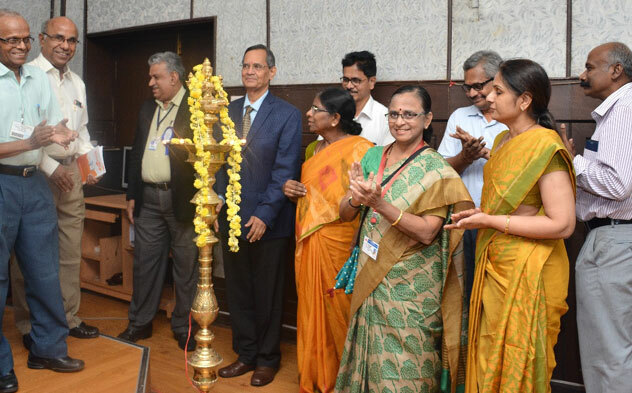 437 delegates from 21 dental colleges of various states participated. 500 students from all the constituent colleges of SRIHER (DU) participated. Patient awareness panel discussion. 105 patients attended. Inauguration of the Dept. 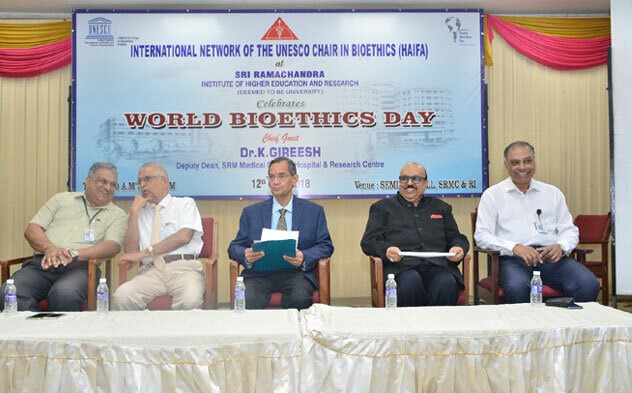 of Hepatology was held on 12th October 2018. 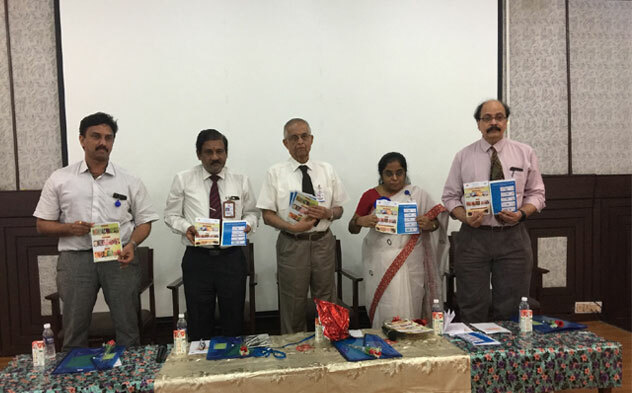 Prof. Mohamed Rela, Liver Transplant Surgeon and Chairman, Dr. Rela Institute & Medical Center, Chennai gave insights into ‘Current Trends in Liver Transplantation’ and Prof. C. E. Eapen, Head of Hepatology, CMC, Vellore delivered a talk on ‘Role of Plasmapheresis in Liver Diseases’. Case presentations were done by PGs of Depts. of General Medicine and Medical Gastroenterology. 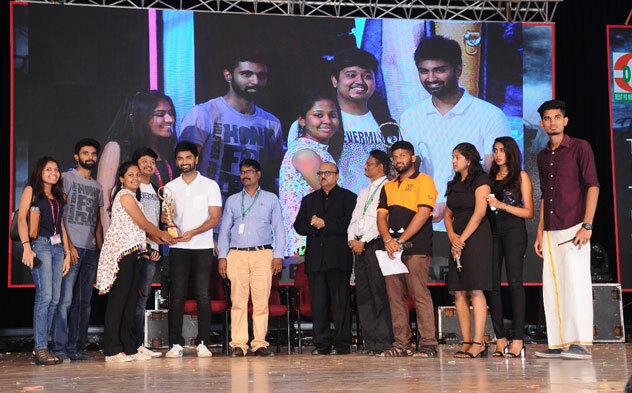 Our university students won the following trophies in the HYGIEA’18 Inter-Medical Collegiate Tournament conducted from 24th to 26th October 2018 at SRM Medical College, Kattankulathur. Our team won the Overall Championship.